ZO Skin Health is an advanced cosmeceutical skin care range developed by Dr Zein Obagi to help combat, wrinkles, age spots and pigmentation that eventually appear on our skin with age. ZO Skin Health by Zein Obagi products work from the inside out, activating and stimulating your skin’s cells to nourish, repair and maintain themselves using the most potent ingredients, high concentrations, pure retinol, advanced peptides, and powerful anti-oxidants. ZO Skin Health skin care products are based on a 5-step process; Cleanse, Activate (to increase the penetration of active ingredients); Stimulate (to awaken and rejuvenate dormant cells); Calm and Nourish; and Protect (sunscreen). Regents Park Aesthetics is a ZO approved skin clinic and stockist. We offer free face to face skin consultations and in-depth assessments to ensure you get the very best and correct products for your skin type. We offer the full ZO Skin Health range and all products are guaranteed genuine products. We also offer a range of ZO facials and skin peels including the exclusive Red carpet and 3-step stimulation peel, which contain a blend of potent exfoliants to replenish and brighten your skin. 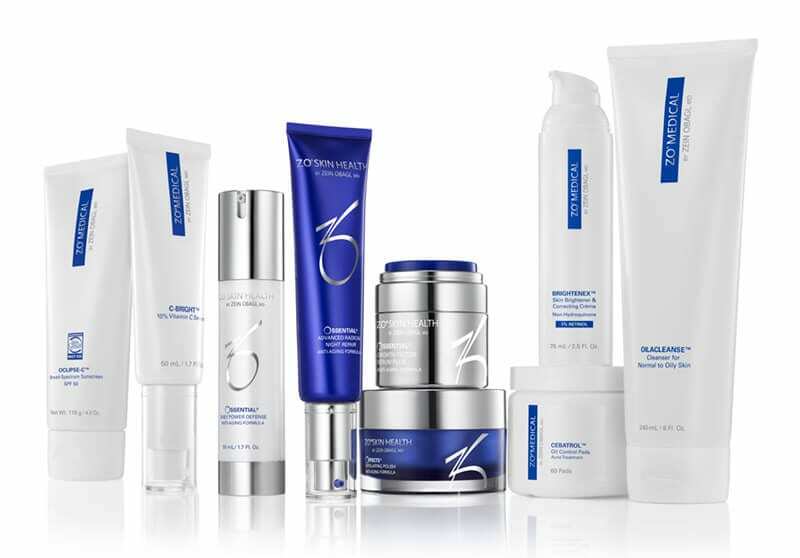 If you want to discuss any aspect of the ZO Skin Health range please visit our clinic or call today.